A Konami Director has assured fans that the release of PES 2016 will come earlier than that of the mid-November launch we saw for PES 2015. Asked about the release date of this year's instalment, Stéphanie Hattenberger told blogpes.fr that PES 2016 'will be released earlier than PES 2015'. Speaking to the French site, Hattenberger - the Director of Marketing for Konami Southern Europe - also confirmed PES 2016 will be available on PS4, Xbox One, PS3, Xbox 360 and PC - with a mobile version of the game also being planned. Furthermore, when discussing the game's cover star and the possibility of new club licenses, Hattenberger gave positive hints by stating, 'surprises await you for the month of June. Trust us'. Go here to read the full interview - which also includes lines about the improved sales of the series, the leap to next-gen consoles, and whether the upcoming PES title will feature any female national teams (for you lazy people, the answer is no). 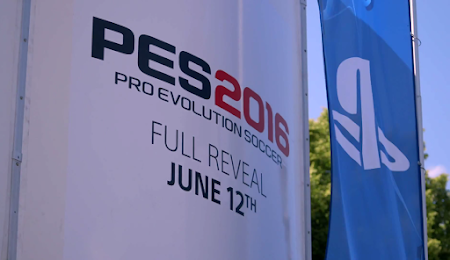 With just three days to go now until the PES 2016 full reveal, what are you hoping to hear on June 12? As always, let us know your thoughts by posting on the forums as well as the comments section below.